Perfect for the busy groomer anytime! 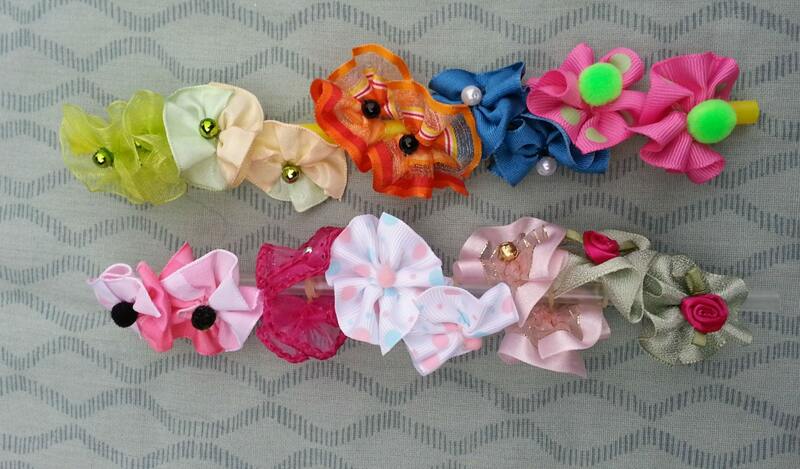 An assortment of round bows perfect for top knots, collar bows, ear bows, or bow ties. Includes some "fairy bows" made from feather light, sheer organza. 10 pairs - 20 bows. 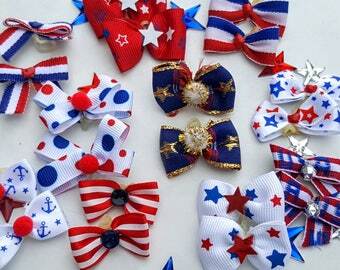 Will vary slightly from bows pictured because my inventory changes depending on the availability or ribbon & bling. You know what's really great? 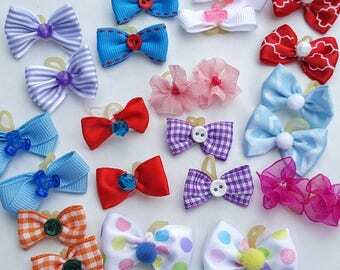 You can't get these on upside down and they make good top knot bows too. No messing around with positioning!! Convo me with any suggestions or special requests. Prefer reds? Pinks? Light? Dark? Smaller? Larger? Just ask.